During the month of August, FIRST Robotics Competition Team 525, the Swartdogs focused on outreach opportunities at home and around the world. To start the month of August, we organized, led, and taught a workshop for mentors of new or young Iowa FRC teams. This three day workshop started at UNI. There, one of our team members explained leadership strategies which our team utilizes. 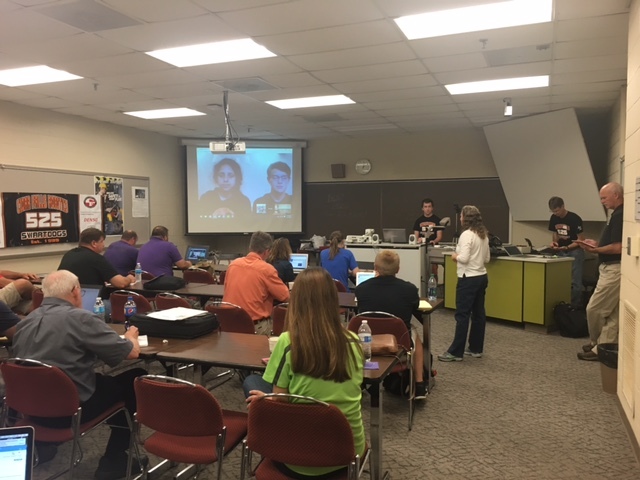 Also, other teams shared their leadership strategies through a video conference. The workshop finished at our work site, the Doghouse, where workshop participants worked in groups to build a robotic arm which completed a specific task. Soon after the workshop, eight team members and several mentors traveled to China to attend the China Robotics Challenge and support team growth in China. 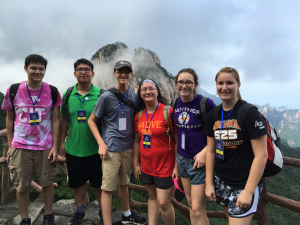 After leaving Cedar Falls at 2:30 a.m. on August 4 and enduring a 14 hour flight, the team arrived in Shanghai on August 5. The next day, we attended the official opening of the workshop which consisted of speakers, a game, and international teams mentoring Chinese teams. Along with 525 other international teams from the U.S. included teams 16, 148, 341, 359, 694, 987, 1538, 1595, and 2468, from Canada team 4334, from Israel team 1690, from Brazil teams 1772 and 5800, and from Australia team 4613. Our team guided Chinese rookie teams 9033 and 9039 by teaching how to apply safety measures, discussing how to make decisions when creating the robot, and sharing our technical expertise. 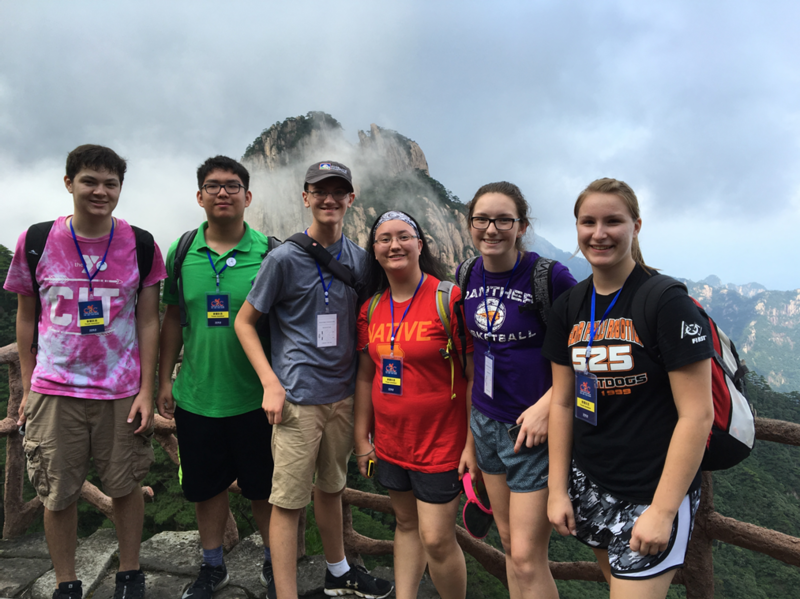 The next day, after advising the two Chinese teams on what they should accomplish while we were gone, we drove for six hours to Huangshan City where we spent a few days seeing China and learning about the Chinese culture. Specifically, we toured Hongcun Village which is an ancient Chinese town and took a cable car up to the top of Yellow Mountains where we enjoyed hiking and an incredible sunrise. 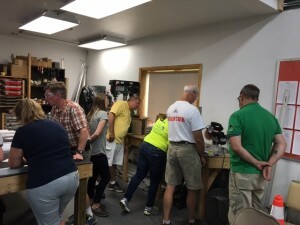 On August 10, we went back to the workshop for the last day and to see how the Chinese teams were doing. The day was spent working on last minute tasks for the robot before going to the arena to prepare for the next day’s competition. 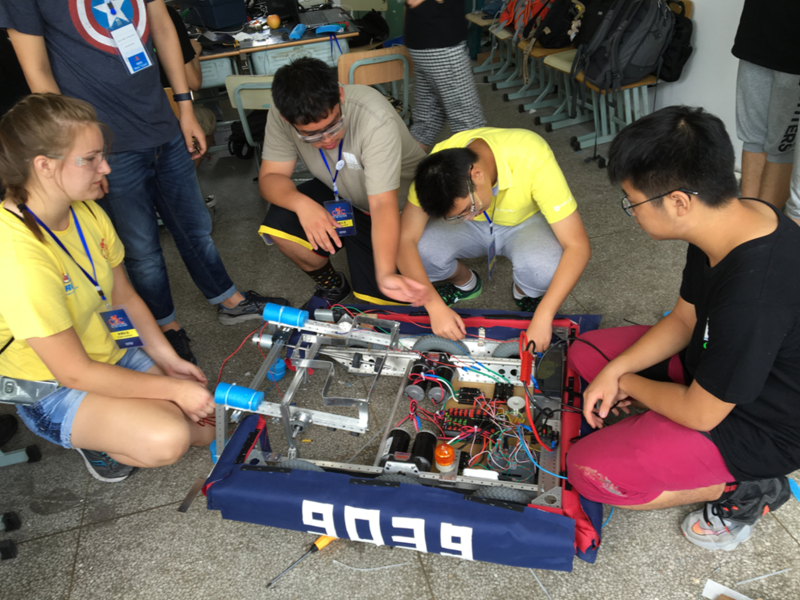 On August 11, the China Robotics Challenge started with a day of practice matches. We participated in two matches. On August 12 and 13, we participated in qualification matches. We had a successful run and placed 16th overall. 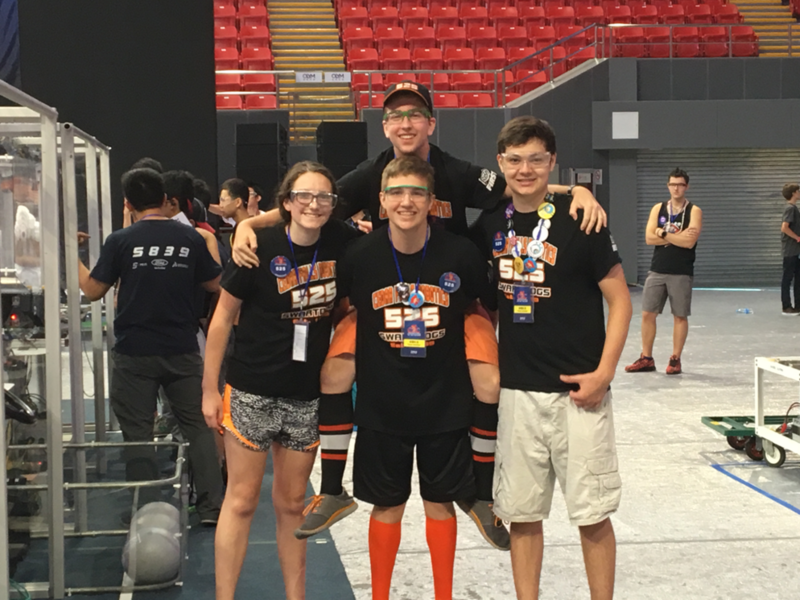 Then, team 5839, the 8th alliance captain, selected us and team 5823 to form their alliance. Playoffs began the next day. Before the playoff rounds started, team 987 and us were recognized with mini humanoid robots as thank you gifts for our continuous help and support with the China Robotics Challenge. Along with our alliance partners, we lost to the #1 alliance seed in the quarterfinals of our bracket. The #1 alliance seed went on to win. At the end of the competition, one of the sponsors of the event, Weistek, gave 15 3D printers to teams which were drawn at random. Our team was one of the teams drawn, and we cannot wait to use the 3D printer in the future. On August 15 and 16, we visited many famous tourist sites in Beijing including the Temple of Heaven, the Great Wall of China, the Summer Palace, and the Beijing Olympic Park before returning home on August 17. 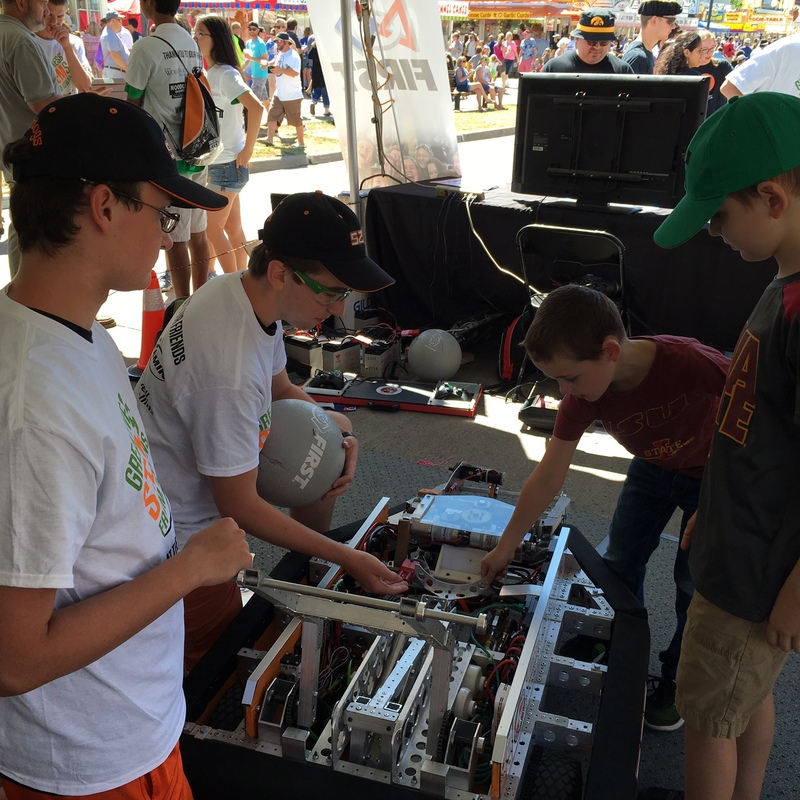 A few days later, we concluded our month of outreach with a booth at the Iowa State Fair. Our team was part of a booth with teams 167, 967, 3928, and 4646. Our main goal was to promote FIRST and FRC by demonstrating our robot and talking with fairgoers.